Stage one successfully completed and we are now in a position to go ahead on the purchase of Calf Sanctuary's Place called home. 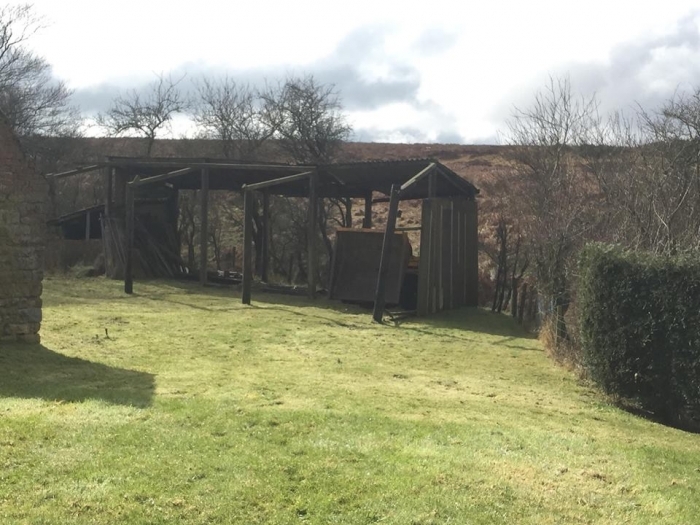 We have a long long road to travel and a LOT of work to be done in so many areas, but our main concern is to get Dukes disabled barn built with a hoisting system that will enable him to be mobile indoors and get him the much needed exercise all year round, the supporting struts are there but that's about all and the floor may need concreting also. 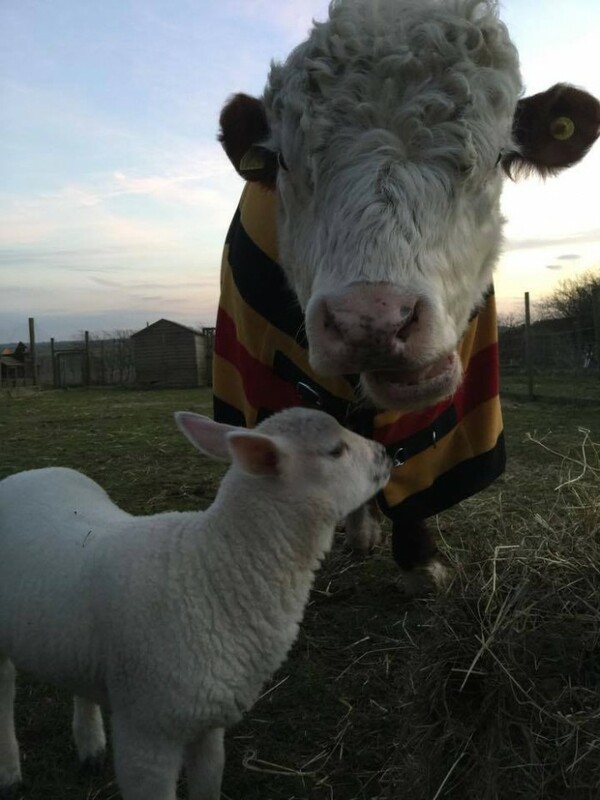 We have been astounded by the love for calf sanctuary and we are so grateful for all the support from everybody, it really is very touching. We have had art work donate, letters and cards threw the post, people doing bungy jumps (very brave), calfeee mornings, bakes sales, sponsored runs...Its amooozing. THANK MOOO to all who donated, bid or played part in behind the scenes....we MASSIVELY appreciate. 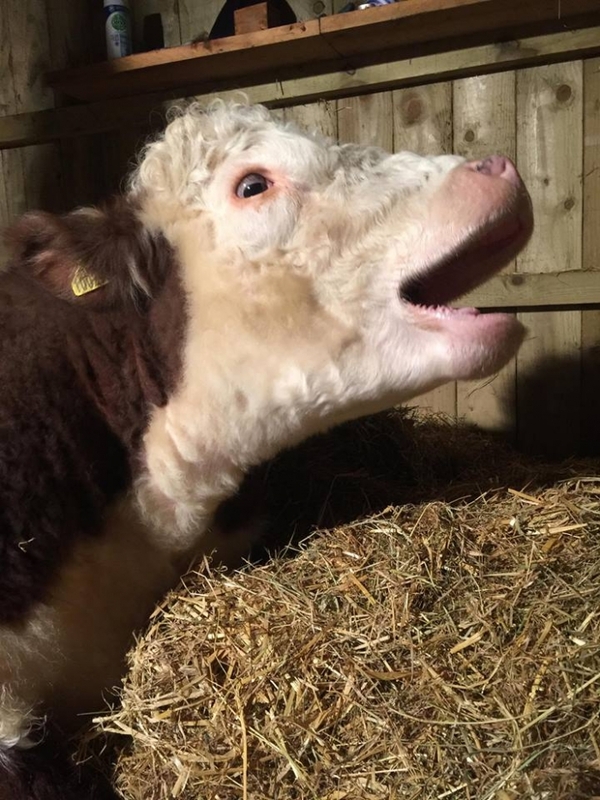 Time is ticking and we are itching to get mooooved to a safe place. Every day i get butterflies in my stomach knowing what lays ahead and how daunting it all is. 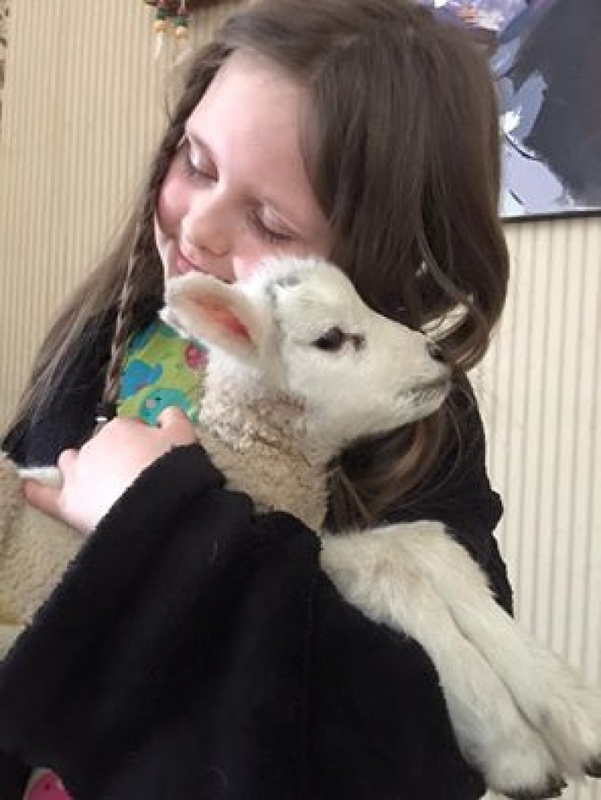 This week we rescued two newborn lambs, my heart was broken when little romeo died, yet his story reached out to 1000s upon 1000s and i just know that no matter what sadness it brings i HAVE to carry on for "The Animals"
Tears flow as i type because the passion for what i do means so much and all that i do is from the heart. 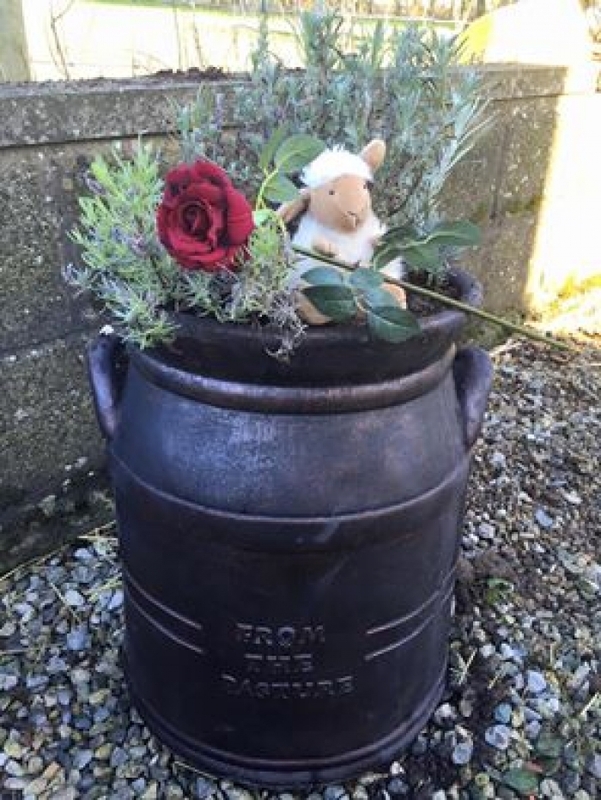 Little romeo was buried yesterday in a lovely plant pot so that where ever we go he will come with us, we filled it with lavender plants, so that whenever i smell lavender i will think of him. 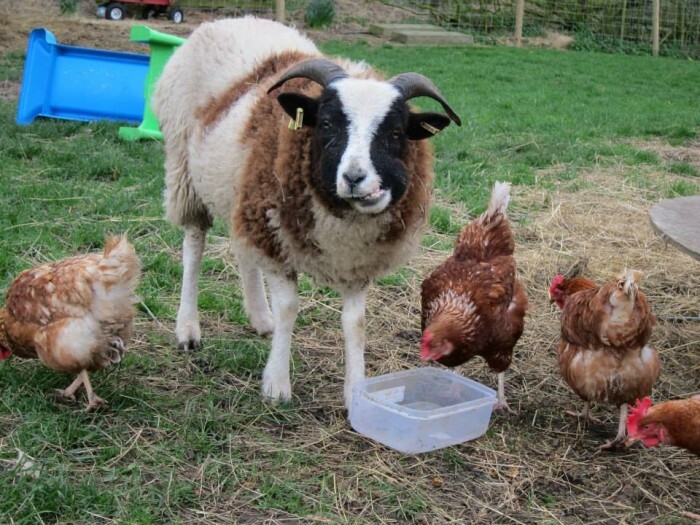 His sister "Spotty" is still with us and we want to see her run in new pastures. Yesterday i got a call from triodos bank...All my paperwork has now gone in to two banks and its a matter of sitting and waiting to hear back. Still a long way to go and the time is ticking as we are more than half way through the time. CALF is for LIFE and i want it to continue saving lives and raising awareness long after i leave this journey. Well folks on monday we reached the chuffed fundraiser half way mark. Can we reach halfway on the goal. We still have a long way to go yet and every penny means so much. 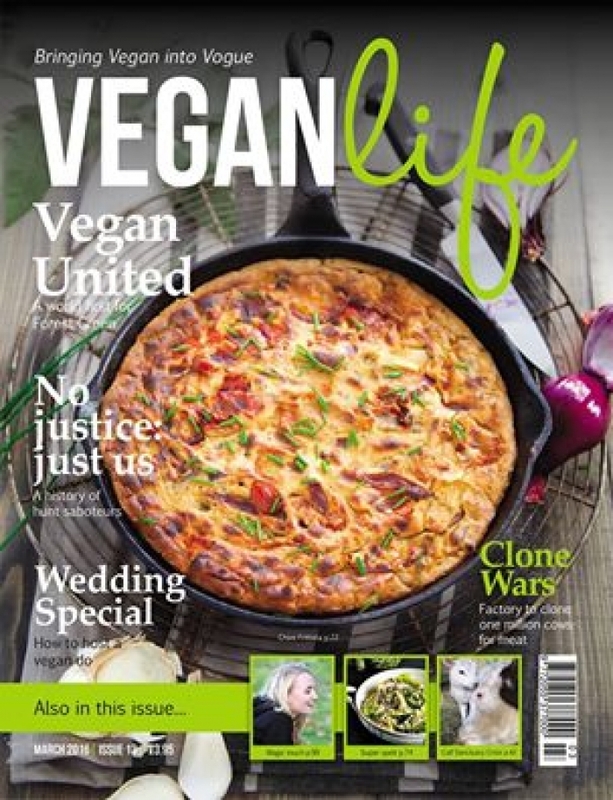 We are being featured in Vegan Life magazine next week WooHoooo, which is a great magazine. Calf sanctuary has many rescues and if we get this move, we will be able to save many many more lives. Calf will be registering as a charity, if we get the place as we want our teamwork to continue for years to come. This week we put together business plans and cash flow forecasts for the bank, which is another huge hurdle, but we were pleased with the end figures of the NEW business. If we reach the goal we can surge ahead and get the ball rolling. Thank you to all helping us, you have no idea how much it means to know that people really care. We want nothing more than to see our animals safe and to watch duke run in new fields. A place where he can even be mobile when the weather is to wet to go out. Every day time is ticking by and of course we are very worried, we have been in some of the local papers and on the radio but we know that the goal we need to achieve is not an easy task. So i have been busy working my brain as to how we could really make this happen. The place we viewed a few weeks ago would not leave my mind. So i made calls to the bank and a few other mortgage specialists and i have been told if i can raise the 50% then i will have a very good chance of getting the rest on a mortgage. I have appointments next week to confirm this, but i have a lot of work to do with business plans and forecasts. This still does not mean we are safe as we are a long way off target. We have a wonderful team of people on facebook helping with the fundraising and we are so thankful for the support that is helping us through this tough time. This week we revisited the farm and had long chats with the owner, who has recently taken the property off the market as he was not happy with the agent, he was due to put the place back on the market, but fingers crossed if we can raise the funds needed he will keep it for a few months. We feel like the angels are on our side with this one. This feels like its to good to be true...and it is....If we can do this, then its a dream come true. We will NEVER get an opportunity like this again. The place could be beautiful...Surrounded by the moors, it has huge open fields, a small woodland area, more than enough space to bring all the rescues together. To secure this place, we NEED to raise the 50% just to get the deposit..
We have got the purchase price reduced and if we get the commercial mortgage we have extended the years to reduce the repayments. 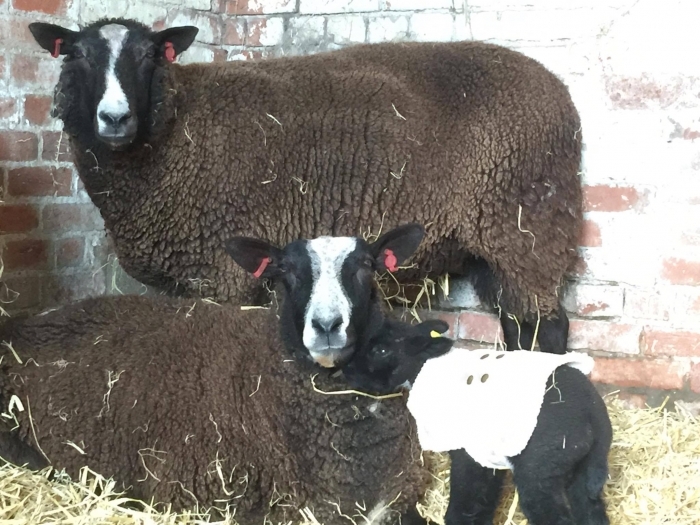 To get the farm open and working to bring an income in to repay the mortgage will take quite a lot of money...BUT plans have already been approved to turn old buildings into holiday cottages and an annexe. The most important thing to us is to SECURE the place and get the ball rolling. An old hay store next to the house...Plenty big enough for duke and even a friend for him in the future. 6 years ago Ma and Da took a leap into the darkness. They left town life and a good business behind to do something worthwhile and meaningful. 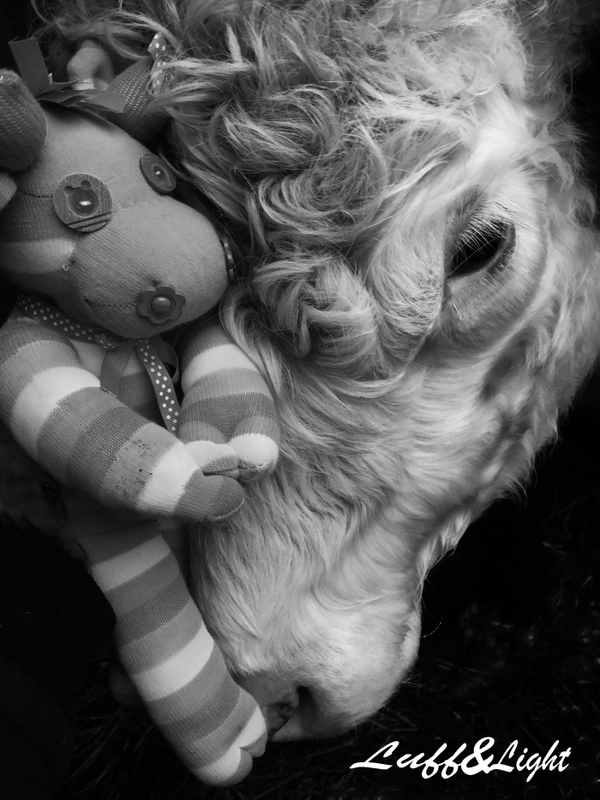 They rescued an old cow (mamamoo) and her dying baby (LuVu) and it all started there. That special old lady touched hearts. Calf is now home to many rescues and we have spread over 3 different areas with 2 extra fields, of which also causes a huge strain and extra workload. 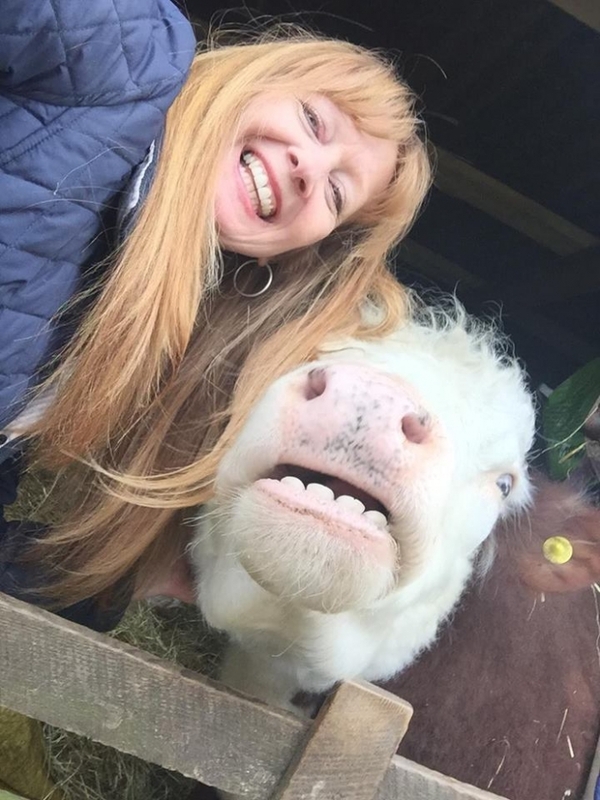 All the rescues are totally dependant upon owners Sharon & Warren who work tirelessly to keep it all going, alongside running online websites and also a vegan cafe in scarborough. Sadly we have been told by the owners of our home, that our tenancy this year is not going to be renewed. This news came as a big shock, this means by july this year we will be homeless. We have a couple of huge worries. Like lucy the sheep, who has a deformed jawline and cannot graze like sheep, so she needs special food and to be fed regularly. 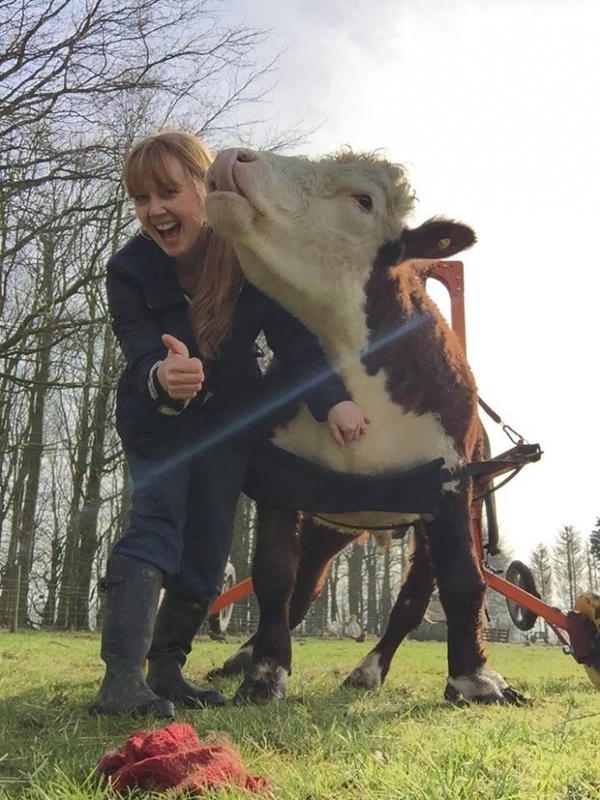 Our main concern is Duke the Bullock as he is severely disabled and totally dependant upon us. 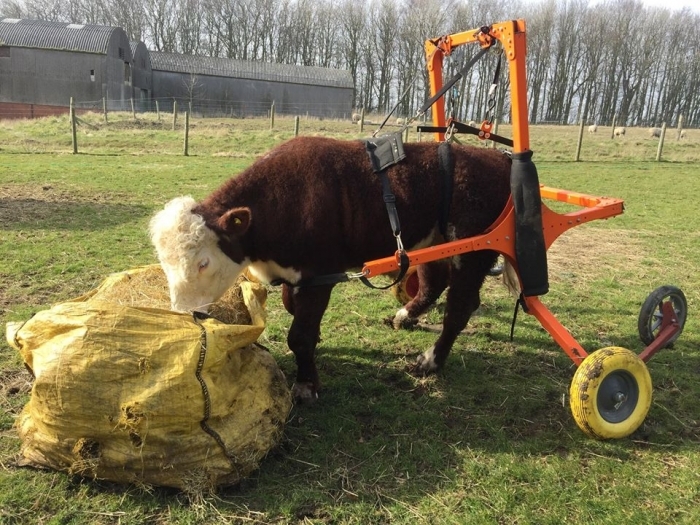 He came into calf march 2015 with severe injuries and Sharon and Warren battled against the odds for months to try and get the care he needed. Relentless they remodelled their lives to fit around the needs of this special little bullock who has had a hard time in life. He was born a dwarf which meant he was worthless right from the start. He was hurt we presume by horned cows, which we believe cause damaged to his pelvis and also neurological damage. After months of care and trying to get the help from professionals we began to realise that we really were alone with this. we began to accept that there literally seemed to be no one out there who could help us, yet we love this boy like a child and dedicated our lives to helping him. We have tried to find rented accommodation, yet there is nothing that would allow the animals that we have. The only real option we have is to buy somewhere, yet the odds are stacked against us and so is time. 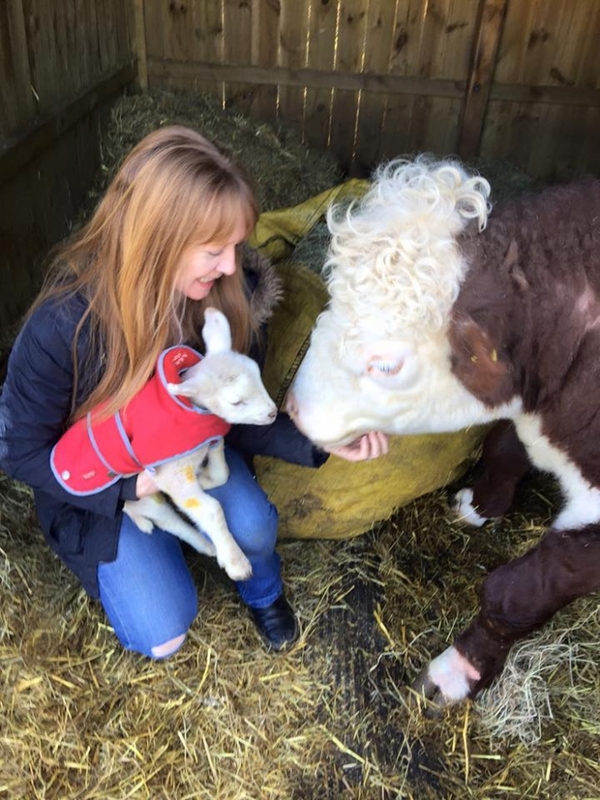 He has helped people to see the love and beauty with the special bond he has with his best friend kevin the lamb and his human parents Sharon and Warren. The journey over the next few months is make or break for calf sanctuary and all our residents. 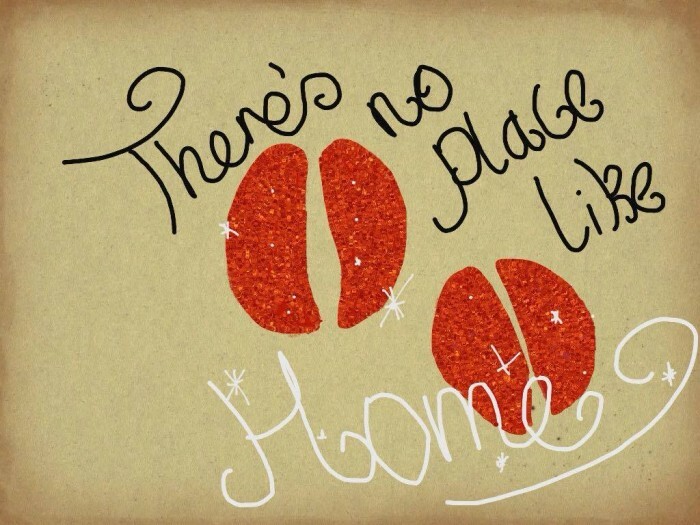 We have spent the last month looking for the "place called home"
Somewhere where we can relocate and bring ALL our rescues together in one place. Last year i sold a property that i bought as an investment many years ago for my future pension, in the hopes that i could raise enough money for a deposit. Sadly the banks wanted more, as i would need a business mortgage not a domestic one, as i need to run the sanctuary as a business to provide income to repay the mortgage, which means a 50% deposit. We have found a number of property's that would be suitable, but all come with a price tag way beyond our available funds. We are looking at the bottom end of the market and not stretching beyond as we know even the bottom end is a huge ask. We realistically have only 3 months to raise the funds and secure a home. 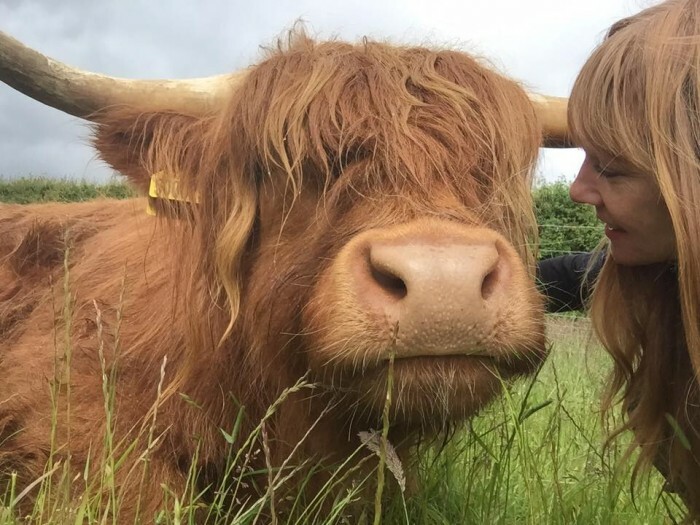 When we get the "place called home" it will mean our much loved highland cow rescues "Gevan and Edradore" can come home to live with us at calf instead of a field miles away. 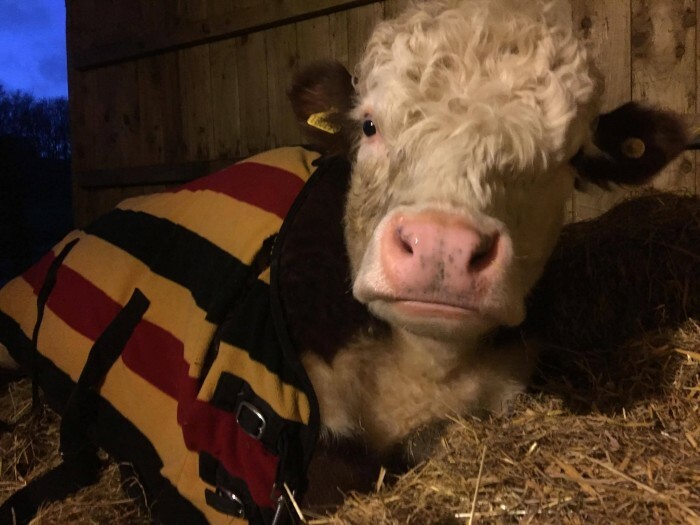 It will mean the our two heifers in whitby ( a field miles away) can come home to calf and that all our rescue will have shelter and space instead of cramped conditions. It will also mean that we can finally open our doors to the public ( as we are restricted where we live) and let the world meet the beautiful Duke, kevin and the gang. 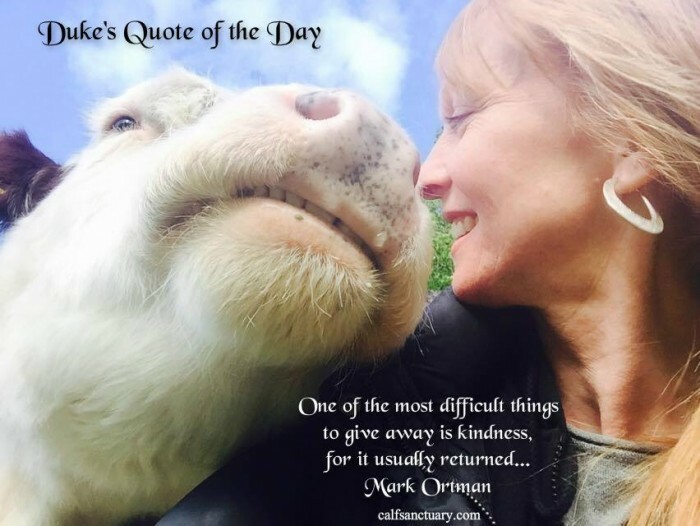 People can come an connect with the animals they love in real life :0) which will reach out to more people and touch hearts. 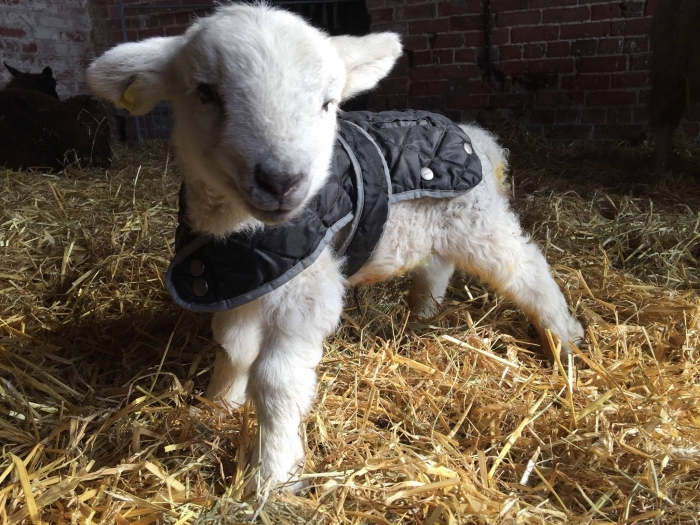 Help us to keep calf sanctuary alive. 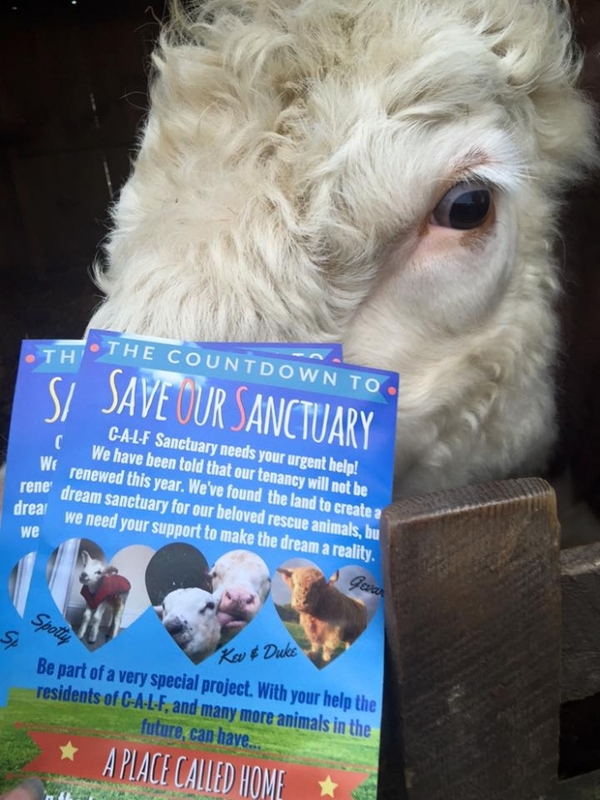 If we can secure the place we have seen, there is huge potential to expand over the years and to get open to the public with so much more than a sanctuary. Our hopes are to share our dream with you the people and we tell it from the heart...We are not after fame and fortune. 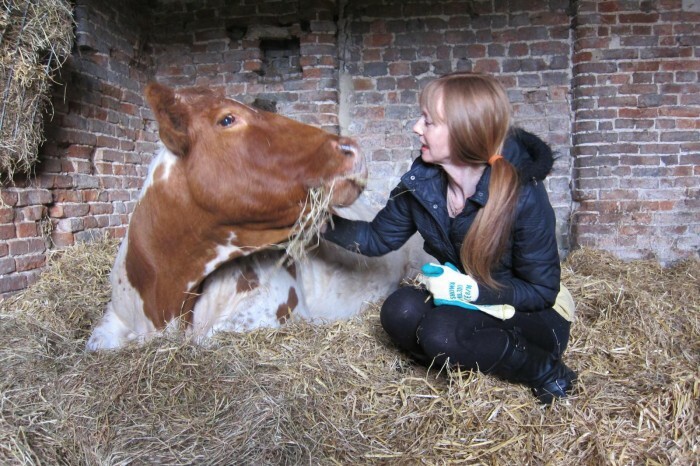 All we want is to keep our much loved rescues safe and keep calf sanctuary alive for years to come. Please note the image is just to show the product .. Receive a certificate of luff with a kiss from duke himself. 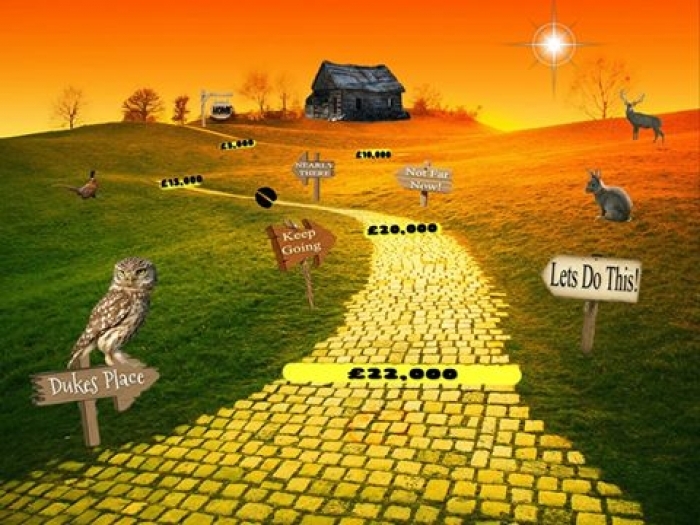 * £28,302 in offline donations included in total.